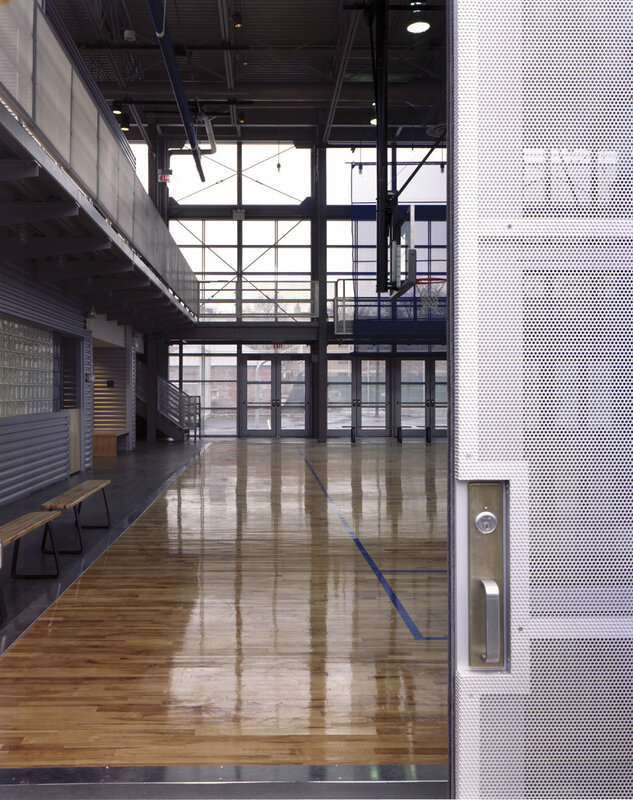 The Center’s design combines the need for physical security with visual permeability. 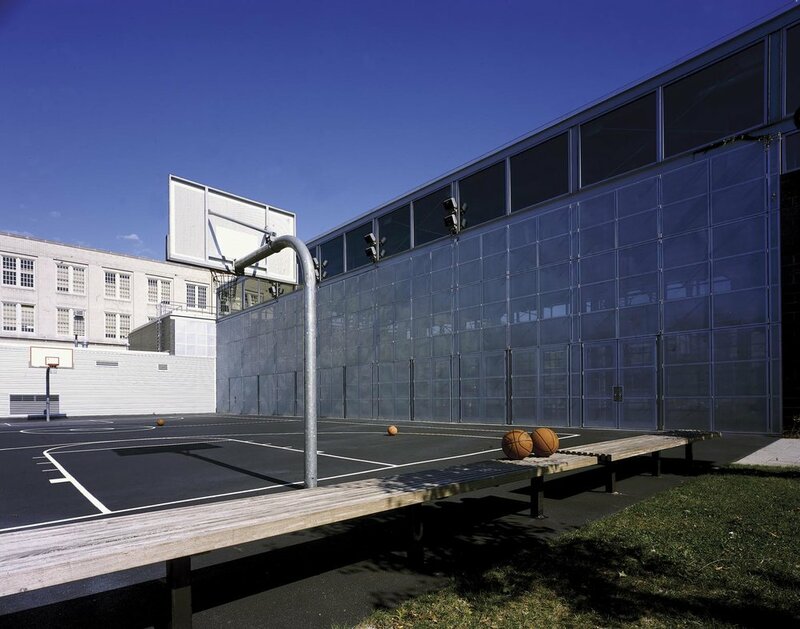 The concept for the building was derived from the chain-link fencing that surrounds the site and defines the different activities taking place within the park. In the new facility, this idea was translated into a series of protected indoor and outdoor spaces that can accommodate a greater range of recreational activities and community services. To reduce the building’s bulk, its mass was splintered into a series of small pavilions that extend from a large, central multi-purpose space. Organized by function, the pavilions spill out into the park and define outdoor courtyards. Large semi-transparent walls provide visual connections between interior and exterior. 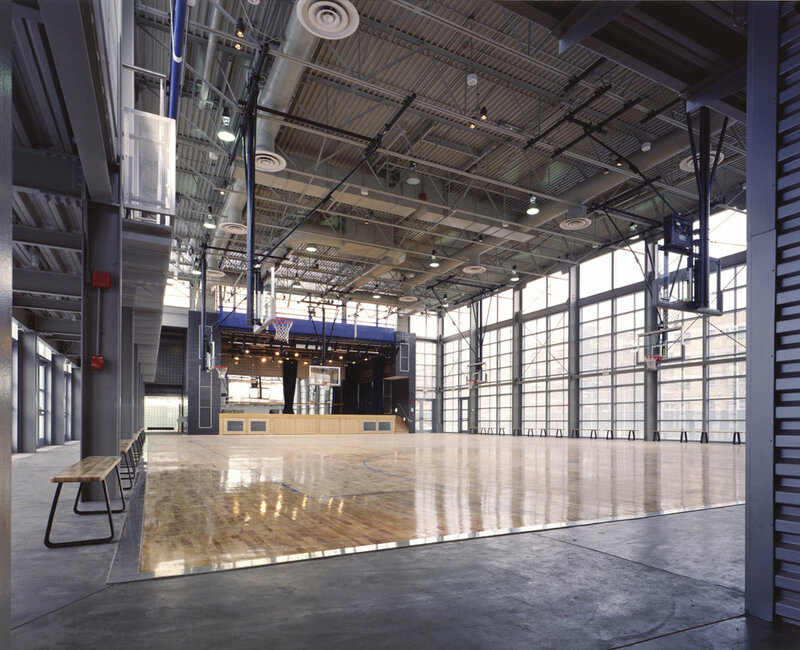 Inside, operable screens divide the center into smaller areas so that simultaneous functions taking place can be glimpsed through the screens. Transparent and open, the center acts as a beacon that illuminates the park at night, making it easier to patrol.